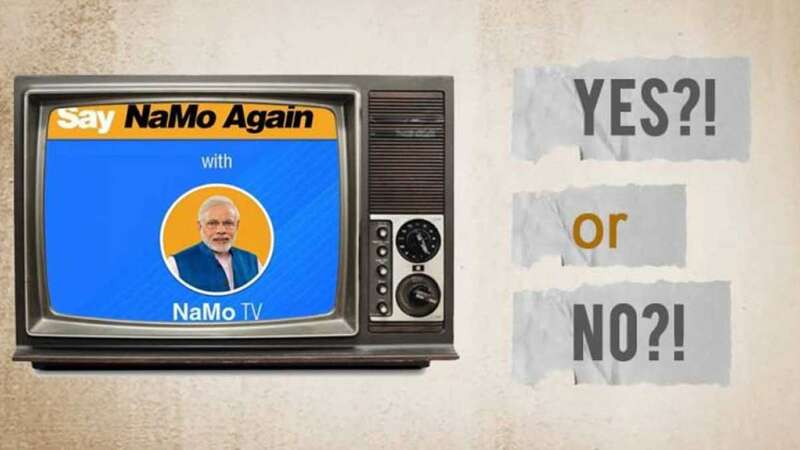 New Delhi : The NaMo TV has been advised to boradcast content that has been pre-certified by the panel, discarding the political ads during poll season. The decision comes in wake of the complaint filed by Congress leaders against the content of the channel. In its order, the EC said that it had been confirmed that there was no pre-certification of the content being displayed on NaMo TV by the Media Certification and Monitoring Committee (MCMC). It said that since the NaMo TV is a platform service offered by DTH operators offered to the BJP on a paid basis, “all recorded programmes of poltiical contents displayed on the channel/platform would be covered under the purview of the Commission’s order” issued on April 13, 2004. The order also added that the political advertisement must not be aired during the poll season. NaMo TV was recently launched on DTH platforms, it features past speeches of PM Narendra Modi and content related to Bharatiya Janata Party. It has been on air since March 31 across multiple private DTH (direct-to-home) networks.